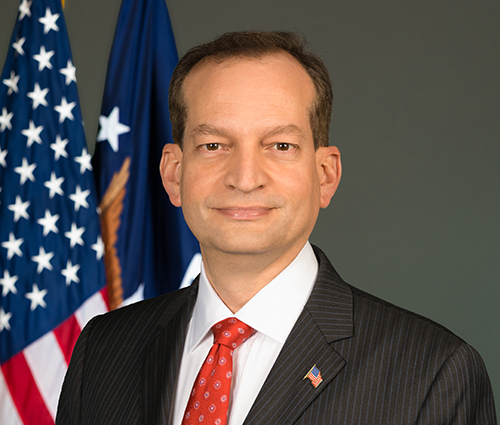 The federal Task Force on Apprenticeship Expansion last month delivered Republican President Donald Trump suggestions for promoting apprenticeships, something the chief executive and “Apprentice” star has made a priority. With an May unemployment rate of 3.8 percent and more job openings than unemployed workers, competition for skilled and unskilled labor could be fierce. If the task force’s recommendations gain traction at the federal and state level and private sector, it could help address the technician shortage in collision repair and similar workforce deficiencies in other industries. Ross also in a letter observed that the “80-year-old apprenticeship system that serves few sectors well” cried out for changes. The federal apprenticeship program involves businesses hiring a worker and developing them into a proficient tradesman or -woman while paying them an average of $15 an hour. At the end of the apprenticeship period (one to six years, typically four years), apprentices receive a credential which signals to other companies in the industry that the employee knows his or her stuff. More than 55,000 apprentices graduated nationwide in 2011, and the number of apprenticeships has grown 42 percent since 2013. The 2017 fiscal year saw 190,000 new apprentices and 533,000 apprentices overall. While apprenticeships represent a cost for companies, data shows the programs are worth the investment. Companies that utilize apprenticeship programs experience higher productivity and higher employee retention rates. Another benefit to apprenticeship sponsors is the increased opportunity for innovation; because apprentices understand the principles behind the work they are doing, they are often more adept at problem-solving and can adapt to new technologies. International studies suggest that for every dollar spent on apprenticeships, employers may get an average $1.47 back in increased productivity, reduced waste, and greater innovation. In addition, a review of Washington State’s workforce training outcomes found apprenticeships boosted participants’ future taxable incomes and thus yielded a $23 return to taxpayers for every public dollar spent, compared with a $3 return for community college. At the Federal level, apprenticeships are an extremely effective workforce training method, as every Federal dollar invested in apprenticeship programs brings a $27 return on investment. The Subcommittee on Education and Credentialing recommended that Industry-Recognized Apprenticeship programs expand more traditional work-and-learn models to achieve higher levels of employer engagement and better outcomes; include work-based learning and performance assessment; and feature national recognition and portability of standards-based, industry-recognized credentials, the requirements for which should be articulated by the public-private sector partners implementing the programs. In addition, the Subcommittee recommended that the Federal partners of the Industry-Recognized Apprenticeship program should implement and support strategies for making technical instruction more affordable for apprentices. Lastly, the Subcommittee recommended that the Federal Government identify and make available capacity-building resources for certifying organizations, institutions of higher education, and other service providers. The Subcommittee also recommended that employers should partner in planning for and building capacity. The Subcommittee on Attracting Business to Apprenticeship recommended that the Industry-Recognized Apprenticeship program should streamline and simplify program funding through various methods, such as updating Federal funding criteria, streamlining State grant access, and exploring sector-led financial options. In addition, the Subcommittee recommended that the U.S. Department of Labor, along with other Federal agencies and industry groups, should conduct and make available a needs analysis to identify existing skills shortages and quantify the benefits of apprenticeships in meeting labor challenges, and also compile apprenticeship information in a single, online, centralized website. The Subcommittee on Expanding Access, Equity, and Career Awareness recommended that the Federal Government should fund a brand awareness campaign for apprenticeships and take steps to expand access to and incentivize the use of an “earn-and-learn” model for employers and apprentices. To ensure equity of access to Industry-Recognized Apprenticeship programs, the Subcommittee recommended that the U.S. Department of Labor should implement clear guidelines and fund community-based organization efforts, and certifiers and sponsors should develop comprehensive outreach strategies. Lastly, the Subcommittee recommended that the U.S. Department of Labor should vet concerns about the existing Registered Apprenticeship system and take action to make improvements. Here’s a closer look at a couple of the suggestions which seemed particularly relevant to the collision repair industry. Many employers and industry organizations today report that the uneven interpretation of guidelines and regulations by the workforce development system makes it difficult, if not impossible, for employers to access the relatively limited funding available to support apprenticeship through the Workforce Innovation and Opportunity Act (WIOA). Sponsors of apprenticeships must also navigate additional Federal agency structures and processes in order to access available apprenticeship supportive funding that may be available through the U.S. Departments of Education, Justice, Veterans Affairs, Agriculture, Defense, Energy, Transportation, Health and Human Services, and Housing and Urban Development. As a result, the Task Force urges clarification or alignment of funding availability (or both) via WIOA, the Carl D. Perkins Career & Technical Education Act, Federal Work-Study, and/or the Federal Pell Grant Program, at a minimum. As Federal and State Governments promote apprenticeships, they need to ensure that existing financial programs are aligned with current apprenticeship policy and that businesses know how to access them. According to recent research by the U.S. Government Accountability Office (GAO), there are more than 40 workforce development programs across nine Federal agencies. Data shows that these programs were funded with more than $42 billion, although less than half that amount ($17 billion) went to employment and training activities. Based on this data, there is a clear need to streamline and simplify programs by developing an organized approach that recognizes and preferentially funds apprenticeship. In order to simplify and emphasize apprenticeship funding, Federal funding criteria should be updated to ensure that Registered Apprenticeship and Industry-Recognized Apprenticeship programs are treated equally, encourage the development of apprenticeship programs for both new hires and incumbent workers, and encourage the reallocation of State resources to apprenticeship. Much of the hesitation on the part of the private sector to embark on apprenticeship program development is due to the lack of a single, online community for apprenticeships targeted to businesses, as well as to educational institutions and workers. As a first step to creating this community, the U.S. Department of Labor, in partnership with the U.S. Departments of Commerce and Education and with industry groups, should compile the best existing information available to companies on apprenticeship. The U.S. Department of Labor’s Apprenticeship Toolkit is an excellent starting point for basic information on apprenticeship.33 However, the launch of the Industry-Recognized Apprenticeship program has created the need and opportunity for a robust, centralized site to attract and bring together more employers to create apprenticeships. The Bureau of Labor Statistics and the U.S. Census Bureau should develop a joint project to measure businesses’ skills shortages and training investments through existing survey, administrative, and third-party data. The Bureau of Labor Statistics should develop a supplement to the Job Openings and Labor Turnover Survey, and the U.S. Census Bureau should develop a module to the new Annual Business Survey as potential new survey vehicles. Conversely, make sure businesses have hard data that apprenticeships will actually help their particular sector. The U.S. Department of Labor’s Office of Apprenticeship should establish a partnership with the U.S. Census Bureau to research and publish metrics on the long-term employment outcomes and retention of apprentices relative to other workers. 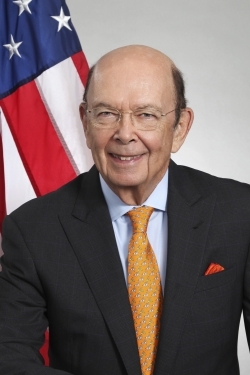 This project could build upon an existing joint project between the U.S. Census Bureau, the National Association of Manufacturers, and the National Skills Clearinghouse. Industry associations should be encouraged to play a critical role in gathering data from sector employers. As a means of evaluating effectiveness and broadening awareness, associations could produce sector-wide case studies to help companies quantify the return on investment for both apprenticeship programs and other training programs where employer dollars are being spent. As companies and trade associations gather this return on investment data, the Federal Government should enable the dissemination of this information, as well as other aspects of a well-rounded return on investment, including incentives, recognitions by the U.S. Department of Labor, and the applicability of Registered Apprenticeship and Industry-Recognized Apprenticeship program experience to college credit or articulation. To allow widespread adoption of apprenticeship, certifiers of Industry-Recognized Apprenticeship programs should keep consistent data and metrics as established by the U.S. Department of Labor to indicate their program success, as well as showcase proof of concept to enable industry expansion. The U.S. Department of Labor should solicit proposals for governing or oversight bodies that include multiple trade or business associations within an industry sector. This governing body should be required to reach agreement on certification standards as a criterion for the Department’s approval. Leadership of this governing body should rotate on an annual basis between members to ensure a balanced perspective over time.